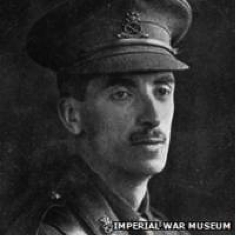 Captain Charles John Beech Masefield, MC was one of the many young men of England who went to war in France and never came back. From the privileged surroundings of his Staffordshire home to the horrors of the front line proved to be a life-changing experience for the cousin of a future Poet Laureate, John Masefield. An England that had, for so many generations, nurtured a rigid class system was changed forever but at a terrible cost. He was born on the 15th April 1882 in the Staffordshire town of Cheadle. His father was an articled solicitor with a local company and the family lived in great comfort, their country house a part of the large Abbots Haye Estate. This idyllic setting provided the young Charles with great inspiration for his poetry but all that was to change as the early years of the 20th century dragged the whole of Europe towards a terrible conflict. His upbringing was strictly Christian and Charles was one of five children. He went to boarding school at Repton and it was hoped that he would go on to study the law so that he could join his father’s firm. He studied the classics and was a keen member of the school’s debating society. At the age of 16 he won a prize in divinity and followed this, in his final year at school, with one for English verse. As expected, on leaving school he became an articled clerk in a curiously old-fashioned law firm that included his grandfather who refused to accept modern accoutrements like the telephone! By 1908, Charles had published his first novel and, during the next few years, was enjoying the relative ease and tranquillity of a small town where he had married his wife Muriel and had also published a visitors’ guide to Staffordshire. His interests included archaeology and he became involved in schemes to provide education for the coal miners in the area. He raised money for his local parish church but then, as the dark clouds of war covered the nation, his priorities changed. He was one of many who stated at the outset that it was a just war. He said: “Right is right and we shall prevail” and “If this war cannot cleanse us as a nation what will?” As was common at that time, he joined his nearest regiment – the 3rd and 5th Battalion of the North Staffords in his case, in 1915. He was sent to France but had to return to his home because a series of deaths in his family meant that he was the only living member of the original law firm that he had left behind. Charles John Beech Masefield died in Lens, France on the 2nd July 1917, aged 35.